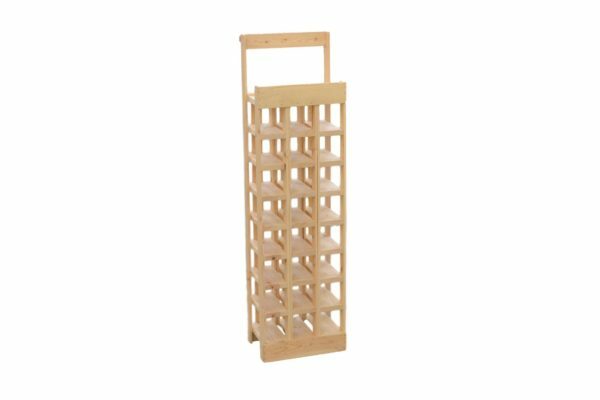 Wooden Wine Tower Storage/Display - Poole & Sons, Inc.
A unique wooden wine tower made from pine wood. 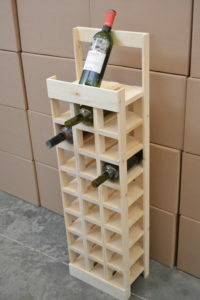 It holds 24 bottle laying down and 3 on top for display. 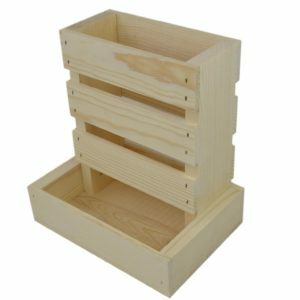 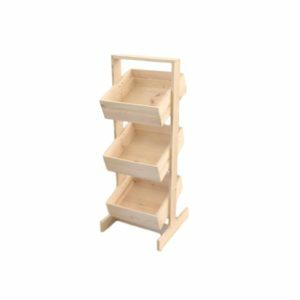 This tower can be mixed and matched with many of our store displays, and bottle racks or as a stand alone tower on an end cap. Use this tower along side multiple towers for storage of your bottled beverages, or as a store display tower. 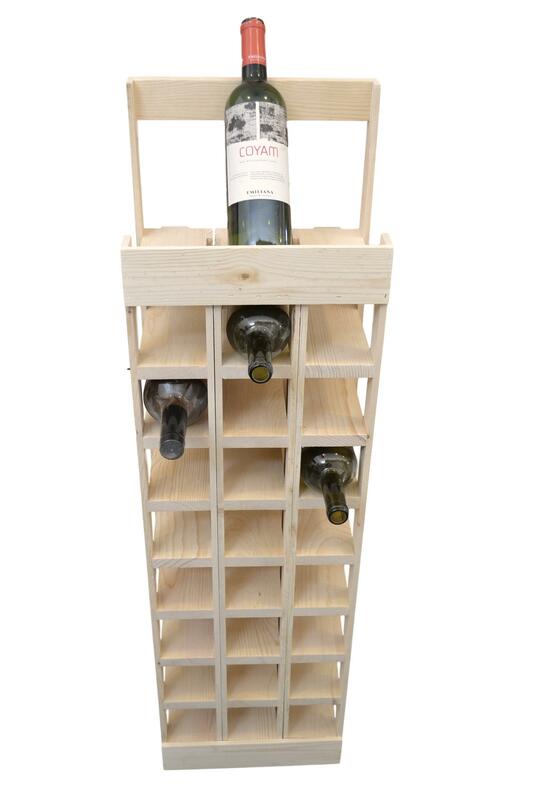 The dimensions of this bottle tower are 12 1/2″X 8 1/2″X 45″ OD. 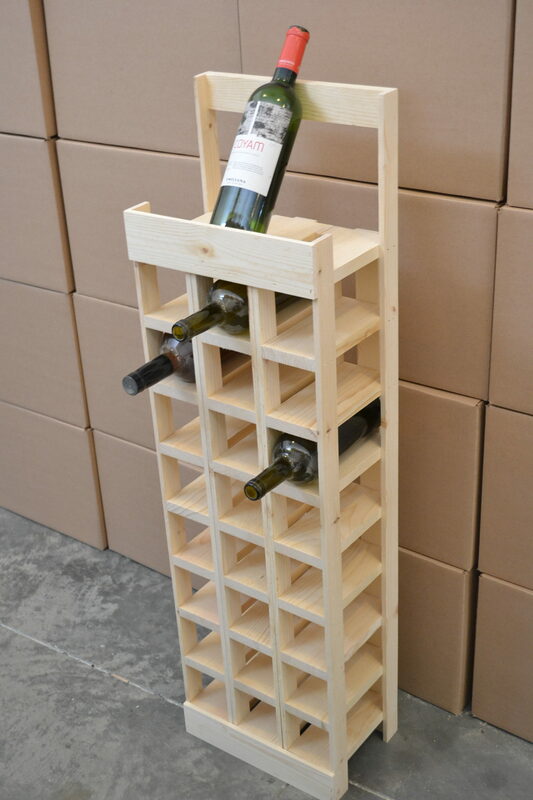 Each bottle bay measures 8″X 3.5″X 3.5″ inside leaving the top third of the bottle sticking out. 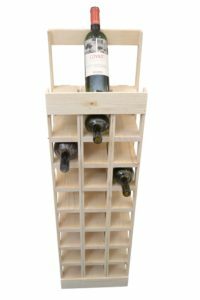 We can build custom bottle towers, and racks with more or less bottle bay’s, specific to your needs. 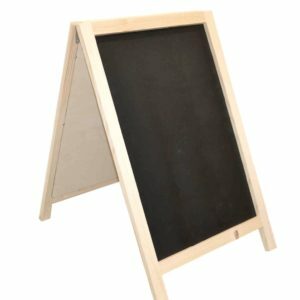 For any questions or quotes please call or email us at the listing below.